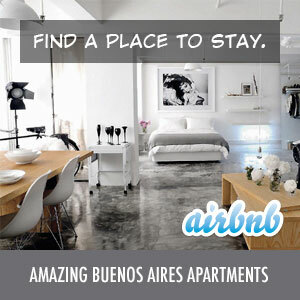 A good friend of mine has just launched his latest Buenos Aires condominium hotel development project – 4955 Charcas. After selling out his first development project, 5865 Nicaragua, entirely in pre-sale, he has focused his attention on developing his next set of luxury condominium-hotel apartment units in Buenos Aires. These new luxury studios in Palermo Hollywood are 43 and 45 square meters in size, feature complete kitchens, high-end finish out and large American-style bathrooms. The entire building will be of a much higher construction quality than typically found in Argentina. These units are also sold for a fixed-price, meaning the price you get up front is the final price. This is extremely rare in Argentina as most developers charge a lower price per square meter initially, but then have price increases built into the contract. You will then see two to three price increases before the project is complete, which means your final price is significantly higher than the initial price. Also, buying in pre-sale means that you only pay 40% down and then can make 15 interest-free payments. Finally, they take care of all the logistics of getting the money into Argentina as well as handling taxes, getting tax id numbers, etc. Most Argentine developers require a full cash payment and it’s up to you to figure out how to get the money into the country, which is a costly and time-consuming procedure. With his business, you can pay via check or wire transfer to their US corporate account. Since everything is done legally and “en blanco” you’ll never have any problems when you go to sell. I can also personally vouch for their integrity and honesty. I’ve worked with them in the past, and they’ve been entirely forthcoming about every aspect of the buying and construction process. This has been in stark contrast to much of the real estate buying process I have experienced here where I saw first-hand how additional fees and assessments could be added on. Check out their web site or email them for additional information.